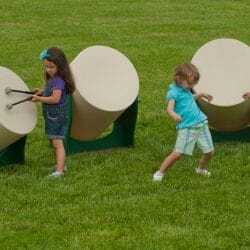 Children can pound with their hands or strike with the mallets to hear the sounds of the outdoor Drum Panel. 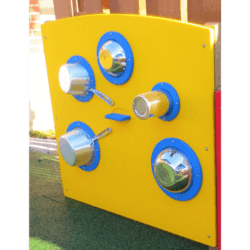 This outdoor play equipment for children is perfect for introducing music at your preschool’s outdoor classroom. 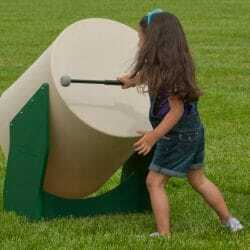 The Drum Panel consists of four 4″ diameter tubes. The tubes are cut at different lengths to provide contrasting sounds to each other. The drum head is made of polycarbonate. 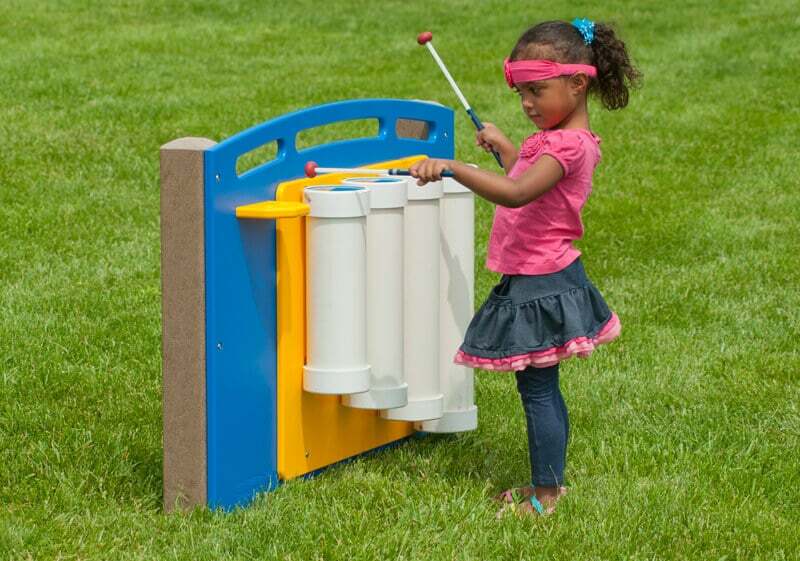 Two mallets are provided, but the children can also play the drums using a hand or other objects found on the playground.